Planning a Colorado weekend getaway at Ski Town Condos in the Upper Arkansas River Valley is made richer by the depth of events and performances offered year round. Saturday, August 4, Leonard Bernstein one-act opera: Trouble in Tahiti. Salida Concerts, Inc. is proud to partner with the Aspen Music Festival and School to present world-class performers in the smaller, more intimate setting of Salida. 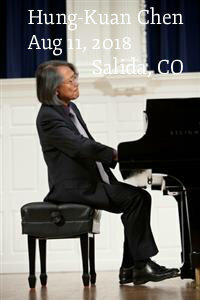 Always appreciative, our enthusiastic audiences bring performers, like Joyce Yang, back to Salida year after year. Salida Jazz Festival August 25, 2018 - sponsored by the Steamplant Theatre. The SteamPlant Event Center will host the first Salida Jazz Festival in Riverside Park on August 25, 2018 featuring Gerry Gibbs Trasher Band with guest Nicholas Payton. The festival will start at 11:00 a.m. with the CMC Jazz Project Big Band. 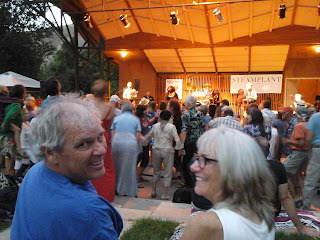 The Salida Steamplant sponsored Hazel Miller at the Riverside Park last night, great performance. Ski Town Condos $150 to $225 + 7.3% tax. 2 bedrooms, 1 bath, full kitchen, washer/dryer, hot tub, limited wi-fi, and grill on side patio.